The Institute for Criminal Policy Research (ICPR) was established by Professor Mike Hough in 2003, as the successor body to South Bank University’s Criminal Policy Research Unit. Since 2010, ICPR has been based in the School of Law of Birkbeck, University of London, which is a centre of world-class legal research and scholarship. ICPR is directed by Dr Jessica Jacobson, and has a staff of seven Research Fellows and Senior Research Fellows, and a number of academic visitors. ICPR undertakes academically-grounded, policy-oriented research on criminal justice, producing work which is independent, objective and of the highest technical quality. The audiences for our work include academics, policy-makers and their advisers, civil society organisations, criminal justice practitioners, and the wider public. All our research is informed by concerns with justice, fairness and human rights, and a commitment to bringing about improvements in criminal justice policy and practice. We also have long experience of conducting research on such wide-ranging themes as communities, crime and victims of crime; youth justice; drugs, alcohol and criminal justice; rehabilitation and resettlement; and race, ethnicity and gender. 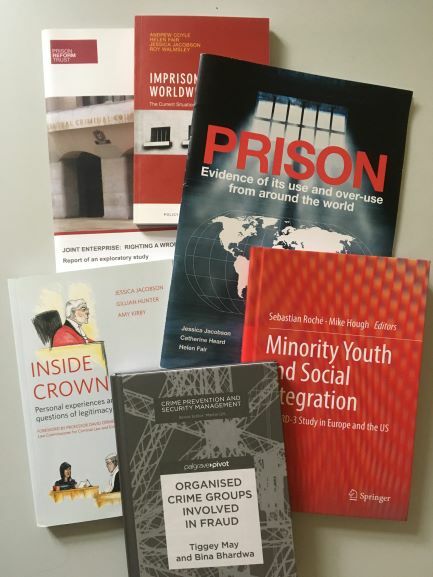 Our research deploys a range of quantitative and qualitative methodologies, and we have particular expertise in conducting interviews and focus groups with criminal justice practitioners and with laypeople in contact with the criminal justice system as suspects, defendants, prisoners, witnesses and victims.